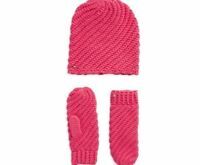 Кopenhagen Fur polar fox, warm fur mittens& cap with big pompom. High quality! Кopenhagen Fur fox, warm fur mittens& cap with big pompom. High quality!